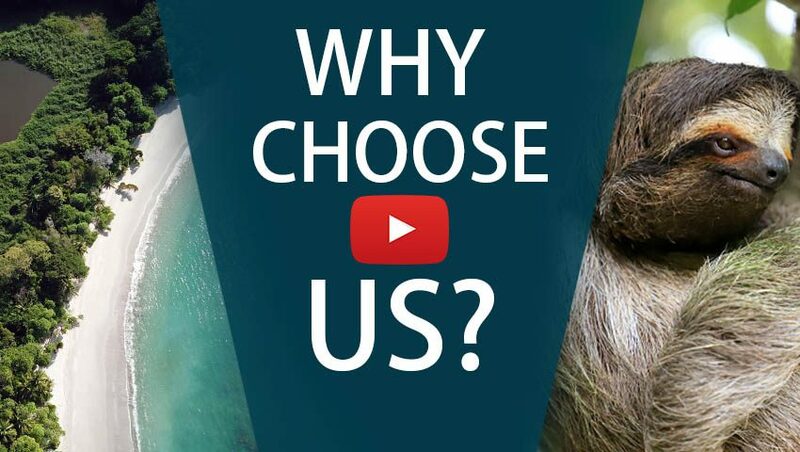 Two 5-Star Resorts and Exciting Activiites! 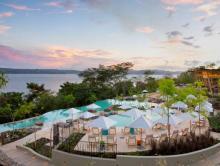 From Arenal Volcano to Papagayo Bay, on this 5 star Costa Rica vacations you will experience incredible locations and fun activities that will spark romance while being suitable for groups, as well. Spend a week staying in the most exclusive 5-star resorts the country has to offer. You will receive elite personalized service in elegant surroundings. Spacious rooms will allow you to spread out and make yourself comfortable. Have your every need catered to with private transfers, knowledgeable tour guides, and excellent adventures. Activities range from exciting white water rafting to a peaceful sunset sail while still having plenty of time to delight in the top amenities provided at your luxury accommodations. 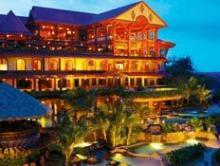 This really is a premier Costa Rica vacation that you will be talking about for years to come! Arrive in San José, where one of our representatives will meet you inside the airport. You will be assisted through customs, as 5-star Costa Rica vacations should always begin… You will be taken to a private transfer that will take you to The Springs Resort & Spa. Enjoy this ultra-luxe resort with only the best in amenities, including a full-service spa. Explore the incredible on-site wildlife preserve and see the exotic animals up close. Get a different perspective on the rainforest on a Sky Tram and Trek tour. Start off on a slow-paced gondola ride over the trees up to an observation platform with panoramic views of the Arenal volcano and lake. Stop the gondola as you go to get a better look at wildlife and to take pictures. Next comes the fun as you zip-line your way down over 8 cables ranging from 650-2500 ft long! After a day of adventure, it’s time to relax and enjoy the majestic view of the Arenal volcano from your private balcony. Today you head off to the Costa Rica Gold Coast. On the way, get your adrenaline pumping as you navigate over seven kilometeres of river rapids. 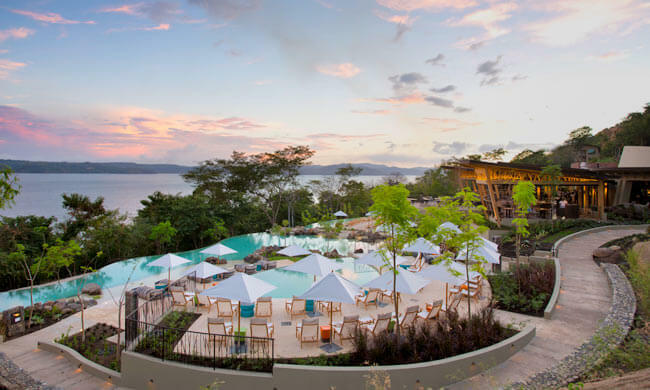 After approximately two hrs of rafting, you will be driven the rest of the way to Papagayo Bay, Guanacaste where you will stay at the luxurious Andaz Papagayo Resort. After all that adventure, it’s time for a down day as you settle in and enjoy the 5-star resort. The subtle colors compliment the surrounding environment nicely and provide a soothing ambiance. Rooms are a tasteful blend of modern design and local artwork. Enjoy a free morning to spend on the beach or poolside. In the afternoon, you set off on a Sunset Catamaran tour. Sip a tropical cocktail as you keep an eye out for dolphins, sea turtles, and whales. Stop to enjoy snorkeling or kayaking in the clear Pacific waters. Back on board, the chef will have a delicious, light meal ready for you to enjoy as the sun sinks below the horizon and you watch the sky turn colors. These days are yours to spend as you like. Take advantage of the hotel’s complimentary equipment for kayaking, stand-up paddle boarding (SUP), and snorkeling. Indulge your taste buds at any of the three on-site restaurants as you listen to live music. If you’re looking for some action, head out to the tennis courts or play a round of golf on the 18-hole Arnold Palmer course. Finish off with a rejuvenating spa treatment using only organic and native ingredients. Take a short, private ride to the Liberia International Airport for your flight home.